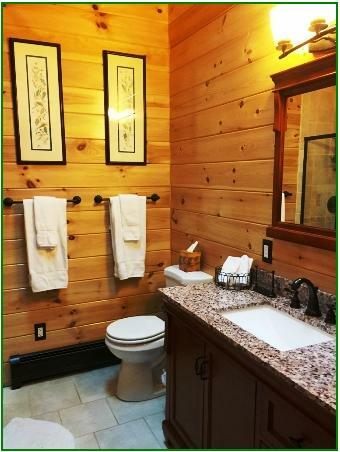 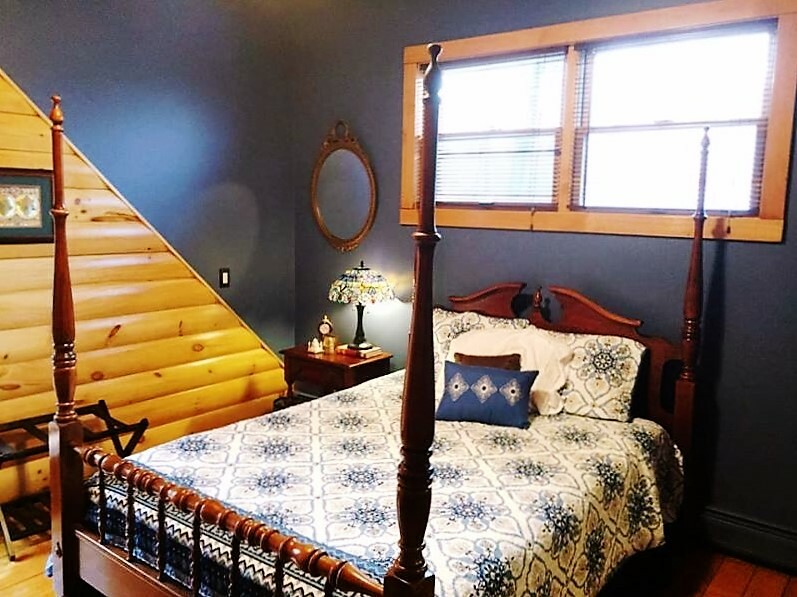 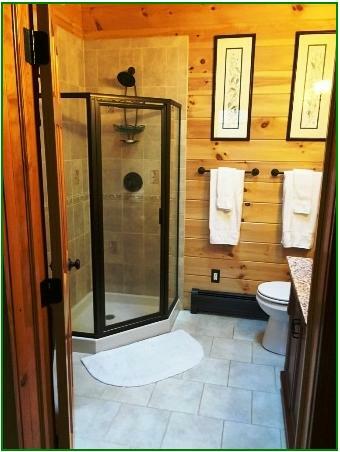 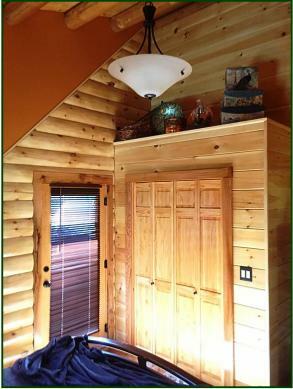 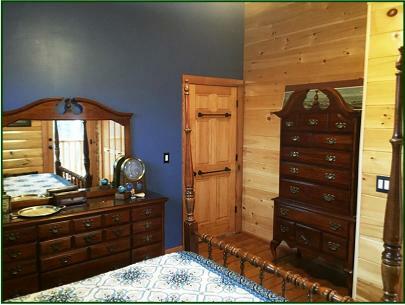 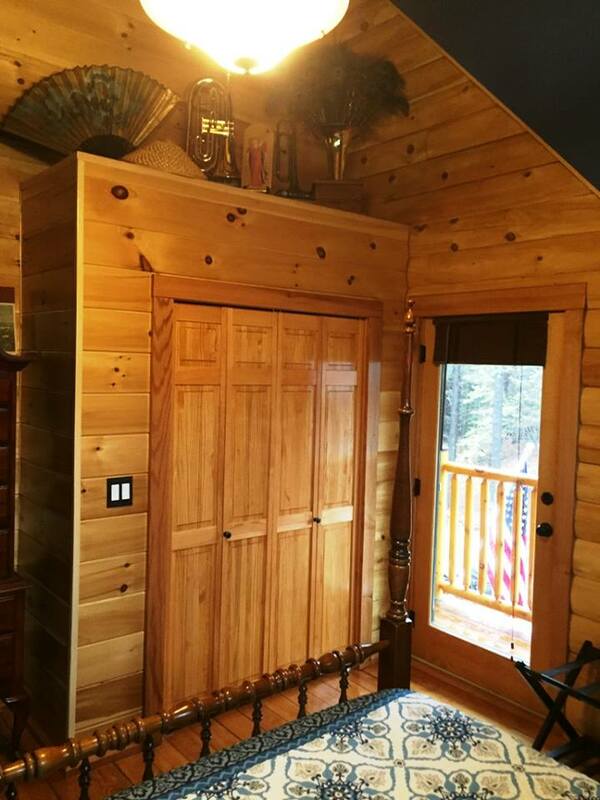 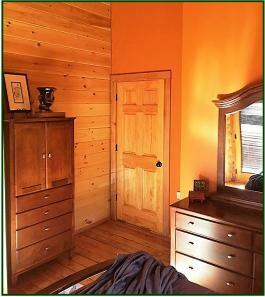 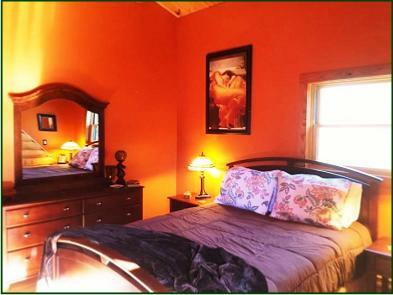 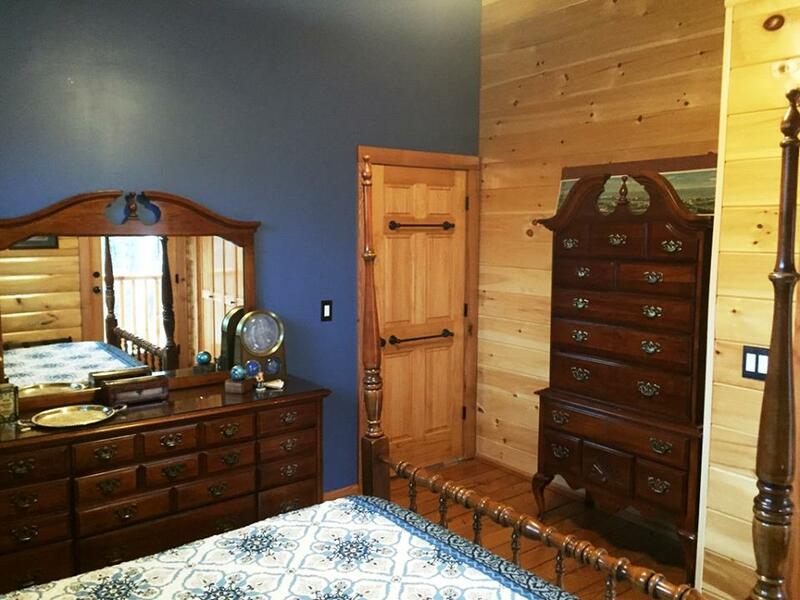 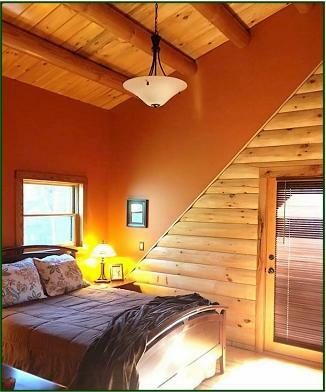 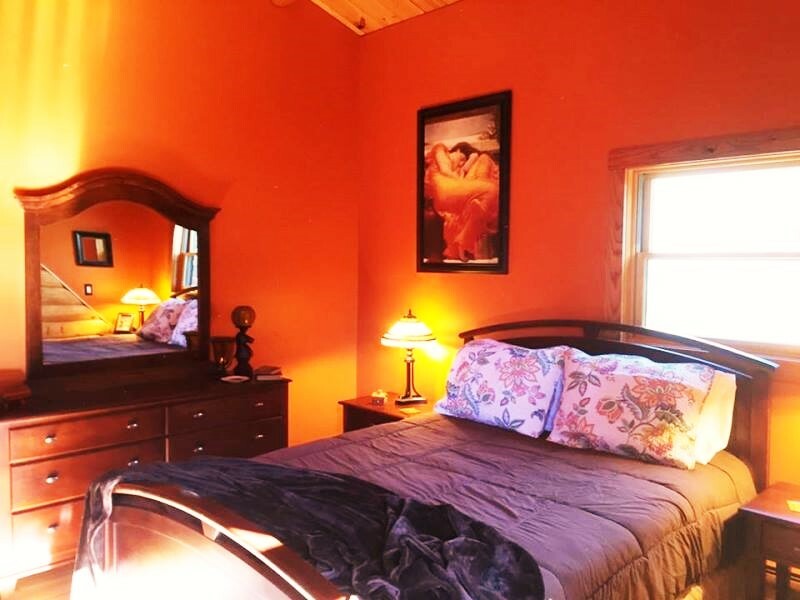 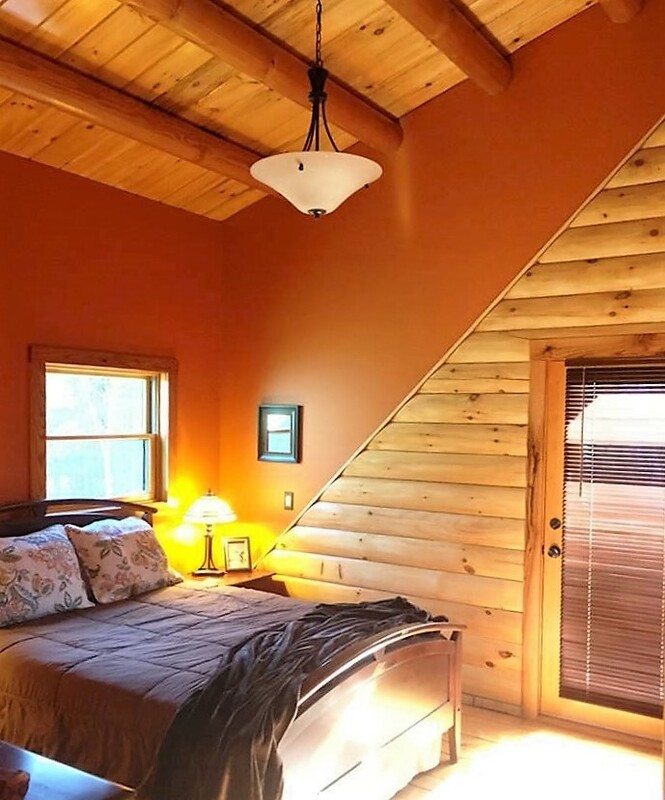 Our log home loft has two guest rooms, a balcony, a spacious seating area, and a full bath. Much of the lumber in these rooms is hand crafted by us, from trees we cut from our woodlands - the floors are hemlock, the trim is ancient red oak, and the ceilings are white pine. 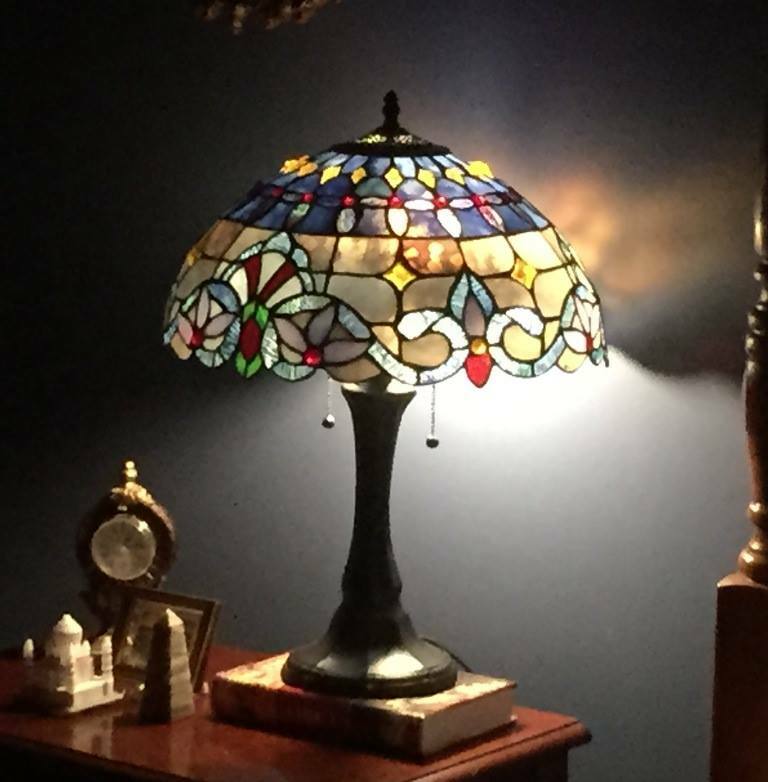 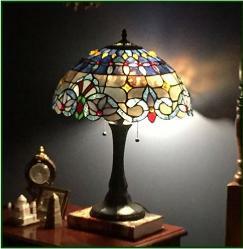 The pine was salvaged from trees knocked down in the June 2011 tornado that devastated the Brimfield area.